Defy the Tyranny of Beer! Honey Grail - History Never Tasted So Sweet! 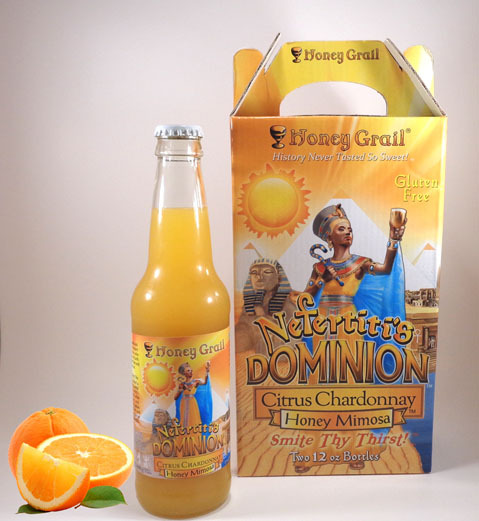 Honey Grail creates historically-inspired, honey-sweetened adult beverages. This includes a sparkling honey mead; a citrus Chardonnay honey mimosa; and a honey rum cider grog. Can we say yum?! Always gluten-free, we add effervescence and innovation to age-old, often forgotten classic drinks. Each bold and vividly packaged beverage measures 6.9% ABV-- so stronger than a common beer yet more relaxed than wine. The slogan, "History Never Tasted So Sweet! ", highlights the colorfully illustrated historical figures that adorn each product and introduces the consumer to beverages of the long ago past. 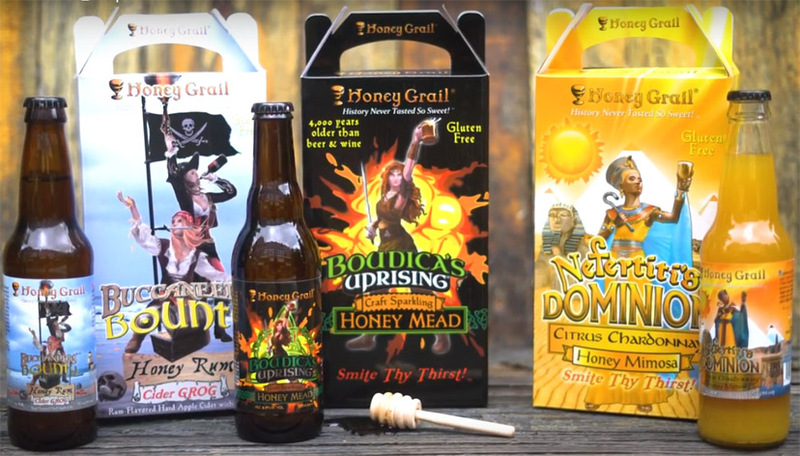 Honey Grail reminds the world that these classic drinks taste even better today than they did hundreds, or even thousands, of years ago given our craft expertise and astute historical detail. Mead is an adult beverage brewed exclusively with honey. It is the first and oldest alcoholic beverage in human history, some 4,000 years older than beer and wine. Whereas beer is made of grains and wine of fruit, mead is an entirely distinct beverage category. 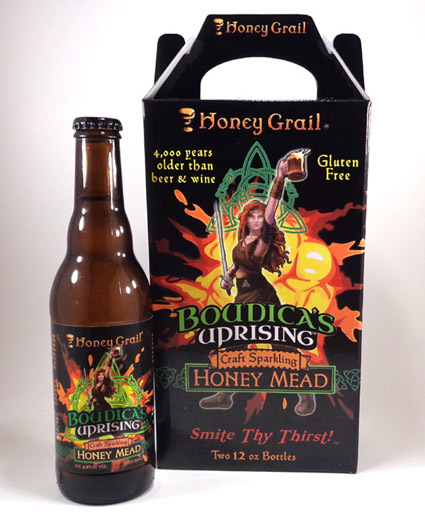 Honey Grail's mead is an effervescent twist on the classic beverage. popular media such as Game of Thrones, Lord of the Rings, and Harry Potter. • Available in innovative, vividly colored 2-pack carriers or kegs. 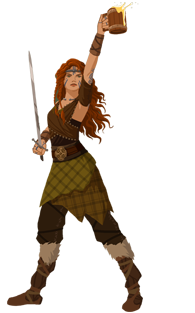 Named after a legendary Celtic warrior queen who led a fiery, scorched-earth revolt against the Romans. Experience the beverage that fueled a rebellion. Introducing the world's first and only commercially available Citrus ChardonnayTM . Honey Grail pioneers an innovative spin on a classic wine varietal by infusing a rich citrus zest with a touch of honey and a slight effervescence. • First and only single serve bottled mimosa! Named after the enigmatic Eyptian queen who altered the course of ancient history. With a single sip, you'll be transported to an oasis. On long sea voyages, stored drinking water, beer, and cider stagnates. In 1740, Admiral Edward Vernon ordered that rum be added to mask off-flavors and lengthen the shelf life of liquid rations. Grog, as it was known, became a staple of the British Royal Navy and popular among privateers and pirates alike. 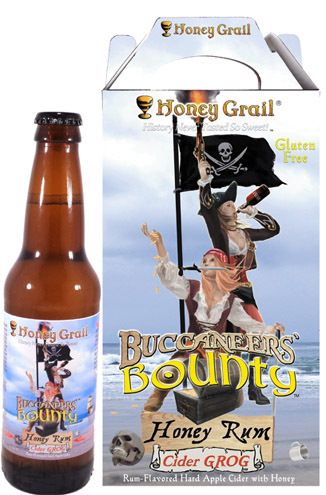 Honey Grail re-invents this maritime beverage by combining hard apple cider, rum essence, and a bit of honey. Named after the female pirates Anne Bonny and Mary Read who became the first and only women captured, tried, and convicted of piracy in the Caribbean during the Age of Sail. Are you brave enough to drink a scoundrel's grog? Honey Grail creates products that harken to an earlier era yet modernizes them for modern sensibilities. As we like to say, "Smite Thy Thirst!" Proverbs 24:13 - "My child, eat thou honey, for it is good; And the drippings of the honeycomb, which are sweet to thy taste."